FRISKY is a one-of-a-kind underground electronic music streaming service featuring the largest catalogue of exclusive DJ mixes. FRISKY features the world’s largest catalogue of exclusive curated DJ mixes from artists and DJs around the world - making it the only music service of its kind on the planet. Listen to the live radio streams for free, or go Premium for more features! - Free radio channels streaming the best in underground electronic music - day and night. - Search for any artist or show. - Discover new and trending music, every day. - Save sets as favorites to build your collection. - Download mixes in premium sound quality and listen anytime - even offline! - Play any mix, whenever you like. Get more with a FRISKY Premium subscription! You may purchase an auto-renewing FRISKY subscription through an In-App Purchase. A 1-month subscription is available through in-app purchase for $9.99 after the 30-day free trial period. Your FRISKY Premium subscription will be charged to your iTunes account at confirmation of purchase and will automatically renew every month unless auto-renew is turned off at least 24 hours before the end of the current period. Current subscription may not be cancelled during the active subscription period; however, you can manage your subscription and/or turn off auto-renewal by visiting your iTunes Account Settings after purchase. 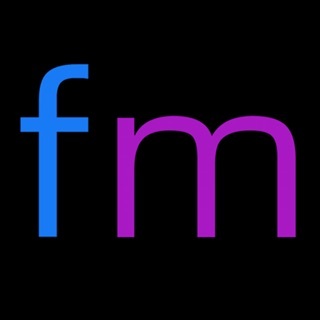 FRISKY is a global underground electronic music service. With the world’s largest catalogue of exclusive curated DJ mix sets from artists and DJs around the world, FRISKY is the only music service of its kind on the planet. Follow us for show announcements and product updates! - Keep the party going! When playing a mix from your Offline Sets list, the app will automatically play the next mix in your list once the current mix completes. - Skip or go to previous mix in your Offline Sets mix list from the lock screen. - Bug fixes and other enhancements to make your listening experience even better. Amazing music. App lacking features. Been a Frisky fan for years. Since the beginning. No google cast or AirPlay support is a little ridiculous at this point. I can't justify the premium costs if I can't cast to various areas in my home and in my yard. It's available in every music and video app, why not here? I have to tether with a wire or stay within weak Bluetooth range? How retro. Also the app icon is fine in the App Store but the logo almost touched the sides of the box on my home screen. Looks horrible. Needs to have more padding. Love Frisky and am paid subscriber but crashes.. Unfortunately, Frisky app crashes on iPhone 7 Plus running GM iOS 11 while launching. I didn’t even know there was an app until today. Was bummed it won’t run. I’m not a one star reviewer, but really want to see it working! Hi there. Sorry for the delay in our response. As you can see, we pushed an update out today that addresses iOS11 compatibility and crashes issues. Thanks for your support. I haven’t tried the other stations yet but I must say the chillout station is top notch. If you’re a chillout lover this is a must have app. Thanks for the feedback. Our expert curation team spends hours each day selecting the best chillout and ambient music. We’ll be expanding our CHILL offering soon with loads more new music.